Haircare brand Aussie has announced new research revealing the most common FML moments experienced by Brits. The study marks the launch of Aussie’s new brand campaign – Great Hair Though – whilst Aussie knows it can’t fix daily disasters, it can give great hair and turn those awkward moments into funny stories to share with friends. In the poll commissioned by Aussie, statistics showed that the other most common daily mishaps include; being deep into an Instagram stalk and accidentally hitting like on a photo from 2016, misjudging the weather and ending up in a thick jumper on a hot day, and replying all rather than directly.Waving back at someone when they’re not waving at you tops the list. Statistics also show one in six of those polled have instantly bonded with a stranger on a night out after sharing a disastrous moment and that a compliment is most likely to cheer someone up. By sharing our embarrassing life dramas, Aussie recognises if we are given the chance to own it, we can turn an awkward moment into a funny one. Hiding those blushes came in as a top priority for Brits mid-FML moment. While one in five 18-34-year- olds have been so embarrassed they have got off a train or bus at a different stop to the one they needed to avoid having to face people, Aussie found one of the highest-ranking places to hide out to avoid facing anyone is in a nearby loo. This February, Aussie is claiming the loos as the ultimate recovery spot to help shrug off those FML moments. 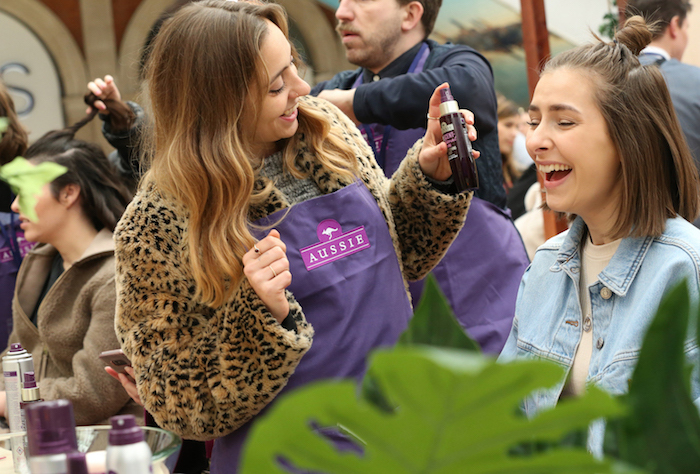 Kicking off in early February, Waterloo train station will be transformed into the ultimate Aussie Loo – the go-to place of respite from the daily disasters we just can’t avoid, as part of the Great Hair Though campaign. Aussie is giving commuters the opportunity to enjoy a hair styling session with Aussie’s Superhairo stylists lending a sympathetic ear to their troubles, while LGBTQ+ collective Sink The Pink perform an Aussie routine as the ultimate antidote to feeling down. Partnering with viral meme creator Queen of Everything, Aussie invites Londoners to turn their FML moment into an Aussie meme which will be transmitted onto Waterloo’s digital billboards, making the public a part of Aussie’s digital campaign. #GreatHairThough loos will travel on from London Waterloo Station to Glasgow Queen Street on 20th February and Manchester Piccadilly on 28th February.